Cooking shrimp in the shells is a popular method, particularly for shrimp cocktail and appetizers where the shrimp can easily be peeled before eating. 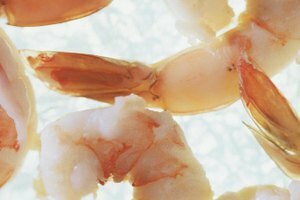 There are several different methods for cooking shrimp in the shell, but there are a few that give the best flavor and texture when executed properly. Fill a large saucepan with 1 qt. of water per pound of shrimp and add 2 tsp. sea salt or kosher salt. Bring the water to a boil over high heat. Cut a slit in center of the shrimp with a sharp paring knife. Remove the black thread, which is the shrimp's intestinal tract, and discard it. Repeat the process for rest of the shrimp, reserving them in a small bowl until needed. Place the cleaned shrimp in a colander and run them under cool water for 1 to 2 minutes. 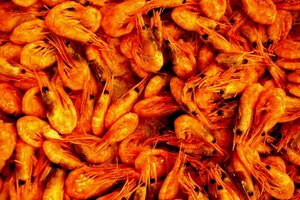 Place small shrimp in the boiling water for 1 minute, medium shrimp for 2 minutes, and large or jumbo shrimp and prawns in the water for 3 minutes. 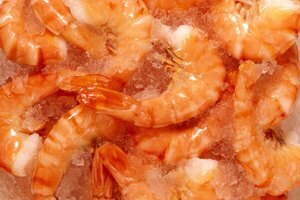 Remove the shrimp from the water with a slotted spoon and put them in a large bowl of ice water for five minutes. 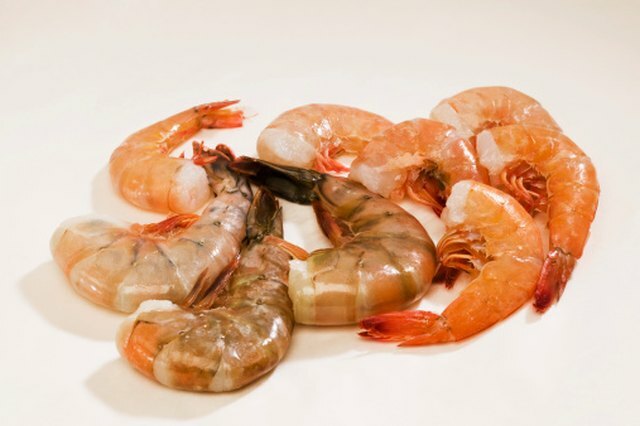 Pat the shrimp dry with a disposable kitchen towel or paper towels before peeling or serving. Remove the intestinal tract of the shrimp with a sharp paring knife. 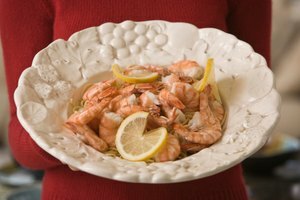 Rinse the shrimp under cold-running water in a colander in the sink. Heat 2 tbsp. olive oil, vegetable oil or butter in a large sauté pan until hot but not smoking. Add the shrimp and cook for 2 to 5 minutes, depending on the size of the shrimp. When the shrimp are finished, they will take on a pinkish color. Remove the shrimp from heat immediately to stop the cooking process. You can add seasonings like fresh or dried herbs to the boiling water or to the oil in the sauté pan if you want to add extra flavor to the recipe. Lemon or lime juice also works particularly well when using the boiling method for imparting additional flavor.